Come help us celebrate our 2nd Anniversary! You will get to learn FIVE art mediums & take home a finished project from each one! 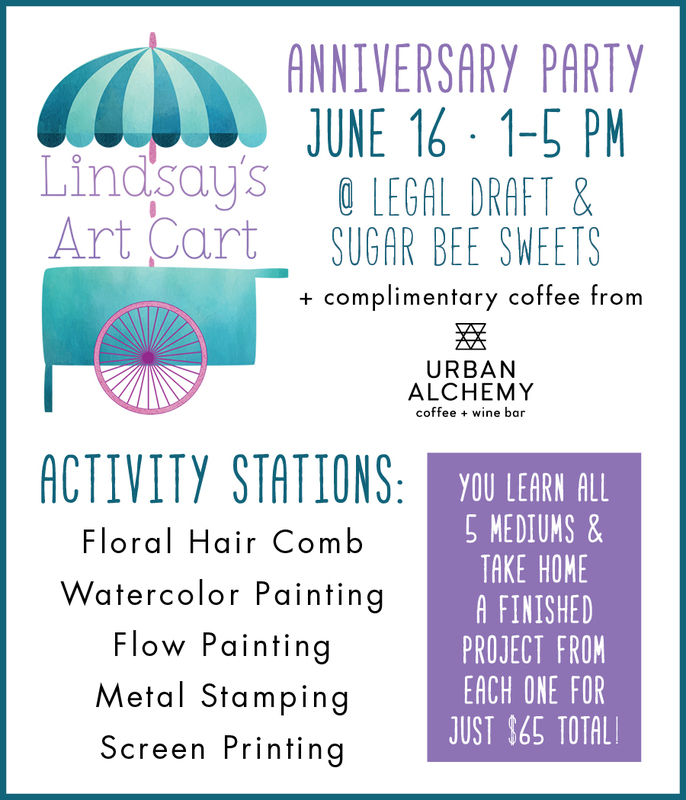 Participants will also enjoy complimentary coffee from Urban Alchemy!